– When I was pregnant with my first son, I told a friend who is from Ghana that I was dreaming every night about food. There were fine restaurants where I would order extravagant meals, or visit caves lined with chocolate walls. She held my hands with tears in her eyes—in her culture food dreams meant hunger. I was hungry, but not for food. I craved mindfulness, living inside my body, inside a lush inner landscape which was both mine and not mine. The chocolate cave walls had messages in an ancient language I longed to understand. that you heard me, clear. I am afraid I have made you whole, myself, and if I forget you will disappear, like the flower you neglect to pick that wilts and whithers. I want to enter your dreams at night like an ancient legend. I want to be the heroine who rescues you from every demon. 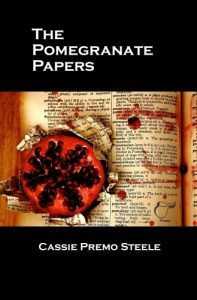 Premo Steele uses nature as metaphor in many of the poems in this volume. While inside the poems, the reader is in that dynamic zone of transformation, growth and beauty. Not the mountains or rivers or night. I am the one desert pink flower in bloom. This is a poet who knows craft and uses it well. 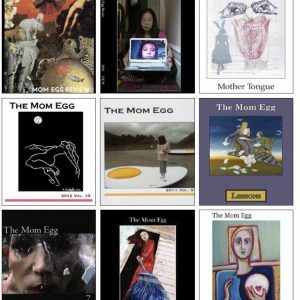 Life experiences many of us share as mothers and women are artfully transformed into lovely, precise poems designed to connect us. 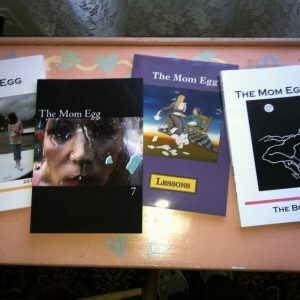 Ellen Miller-Mack has an MFA in Poetry from Drew University. Her work has appeared or is forthcoming in 5 A.M., Valparaiso Poetry Review, Rattle, Verse Wisconsin, Rumpus and Bookslut. She co-wrote The Real Cost of Prisons Comix (PM Press) and is a nurse practitioner/primary care provider at a community health center in Springfield, Massachusetts.